A bit late, perhaps, but I’ve finally watched John Carter and, surprise, surprise, I find that the film I saw wasn’t the same as that viewed by several critics! At least, that’s how it seems. The film suffered a severe savaging from many critics on both sides of the pond. Almost without exception, the majority of them hadn’t read the source material and bemoaned the fact that there wasn’t much original in the film. 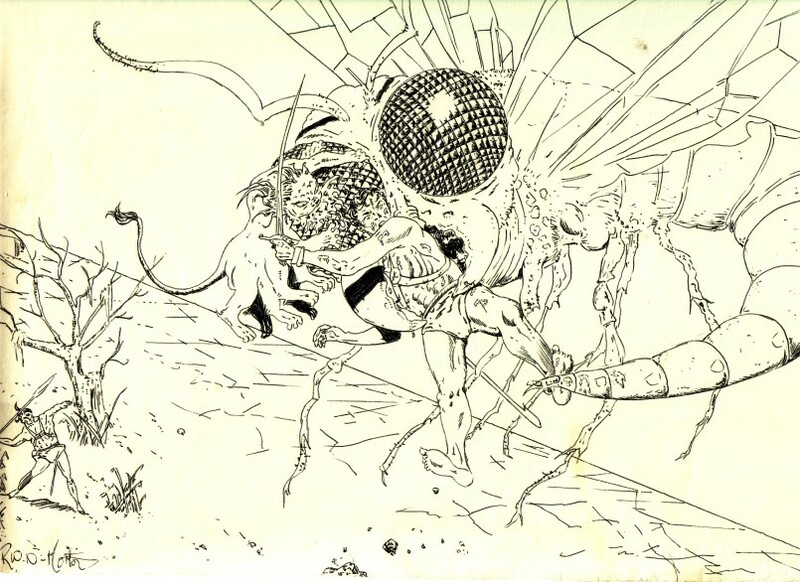 Some had the good grace to accede that the Edgar Rice Burroughs Martian tales were often the inspiration for the many sci-fi flicks over the last hundred years (that is, his ideas were pinched). Some blamed the poor marketing of the film. Others targeted the main actors, and the dialogue. A few didn’t quite grasp information that was offered in the script – maybe they were tucking into their gourmet cinema meal at the time – such as Carter’s ability to leap great distance, attributed to the lower gravity of Mars. One reviewer in UK commented that A Princess of Mars was ‘hailed as a geek classic’ – that must therefore include those well known geeks, astrophysicist Carl Sagan and literary luminary Ray Bradbury, both of whom went on record more than once that Burroughs’ Barsoom novels inspired them to follow their respective careers. Well, all those naysayers are mightily wrong. Maybe they were all suckered into ‘adulation of The Artist mode’? Just take a look at the reviews on Amazon. When I ordered the DVD there were already many very favourable comments, deriding the critics. Now, as I write this, the combined 4 and 5 star reviews total 602 out of 698 – that’s 86%. The rotten tomato reviews clock it at 52% ‘suffers from uneven pacing, incomprehensible plotting and characterisation.’ Forget all that. The plot and characterisation are not incomprehensible, though in common with most modern action movie scripts you do have to pay attention to what is being said… If ever a film was badly served by the media, then this was it. Cinema has many purposes – but primarily it’s intended to entertain. John Carter did that with gusto. This was a fantasy film designed for the big screen, with spectacular scenery, epic scenes, gorgeous colour, fabulous costumes, characters true to the books, and a sense of wonder tinged with modern sensibilities. Utah served well as Barsoom. The tharks were superb, in creation and depiction, seeming totally natural. The flying machines were definitely otherworldly. The city of Helium was impressive, as was the thunderous mobile city of Zodanga. There was pathos, humour, irony, romance, bravery and betrayal within the 127 minutes of film; the time flew by – and I for one wanted more! Maybe another fifteen minutes would have deepened the characterisation of some. But essentially this was a fast-paced exotic story and in-depth characterisation would only have slowed it down. Taylor Kitsch delivered a strong man tired of war and death, while Lynn Collins as Dejah Thoris embodied in every way the beauty and strength of the princess of Mars. Though heavily disguised by CGI effects, Samantha Morton (no relation) captured the essence of Sola, her fragility and compassion. William Dafoe’s Tas Tarkas was great, too. And Mark Strong as the inimical Matai Shang, chief Thern, proved he can play villains with consummate ease, but never hams it up. Woola was engaging, even with six legs and deadly incisors – and not dissimilar to my drawing of Woola and John Carter battling the deadly Sith (Warlord of Mars). I agree that the marketing was poor. The DVD cover is lacklustre. And as for putting up the quote ‘Star Wars for a new generation’, they’d have been better employed stating: ‘Before Avatar, before Star Wars, before Star Trek, before Flash Gordon – there was John Carter of Mars!’ Initially, I sympathised with the critics of the choice of film title and felt that John Carter of Mars would have been better, as it would leave no filmgoer in doubt. 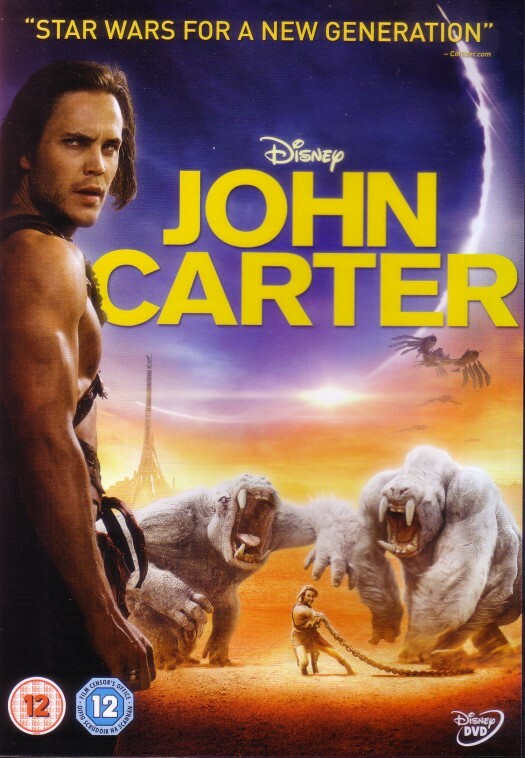 But then I saw the end of the film and it seemed right – until the end, he’d been John Carter of Earth. But at the end, when he married Dejah Thoris, he became John Carter of Mars, and that’s the title that’s shown – heralding at least two sequels. Two sequels that are sadly now probably stillborn due to the misguided marketing and reception of this first epic adventure. If you haven’t seen this film because you were put off by the critics, then ignore them and buy it. Buy it and prove them wrong. It’s escapist fantasy of the highest order. Published in 1981 – some five years before MacDonald’s death, aged 70. This was the 19th Travis McGee adventure. Besides each novel title featuring a colour, they also contained delectable female companions, nasty villains, exotic locals such as Florida, Mexico and the Caribbean. McGee’s sidekick, friend and sounding-board is Meyer, an economist and Ph.D. McGee lives on his 52-foot (16 m) houseboat, the Busted Flush, named for the poker hand that started the run of luck in which he won her, and introduced in the first novel, The Deep Blue Goodbye. She is docked at Slip F-18, Bahia Mar marina, Fort Lauderdale, Florida. This time around, McGee is tasked with finding out who murdered the millionaire cancer-riddled Ellis Esterland. His enquiries take him into the macho world of outlaw bikers, the crazy lives of film producers and actresses, and the dangerous pursuit of hot-air ballooning. This time around, his female companion is the luscious Anne Renzetti, ex-secretary of the murdered tycoon. Sometimes, his prose is hard-nosed and at other times, it’s lyrical, viz: ‘… moving in that sweet silence across the scents, the folds, the textures of the soft green April country’ when describing McGee’s first air-balloon journey. MacDonald’s McGee crime books are hardboiled. Along the way, his first person narrative reveals the flawed American Dream. Yes, he breaks the rule about characters spouting long swathes of speech, but he seems to get away with it. Because he’s good, very good. I'd recommend any Travis McGee to anyone who has never tried one. This, like the others, is well crafted, with believable characters. My wife Jen and I were saddened to learn that Iwan died suddenly last month, leaving his wife Margareta. I only knew Iwan for the last four years of his life when I discovered by chance that he lived a half-hour’s drive away from me here in Spain. Iwan was a consummate bibliophile. Margareta loves reading too – and music. Indeed, Iwan and Margareta’s home is a bibliophile’s heaven, with so many signed copies. Born in Stockholm, Iwan and his family moved some eleven times in fourteen years. His parents owned a private library of about 400 books and Iwan caught the reading bug early. 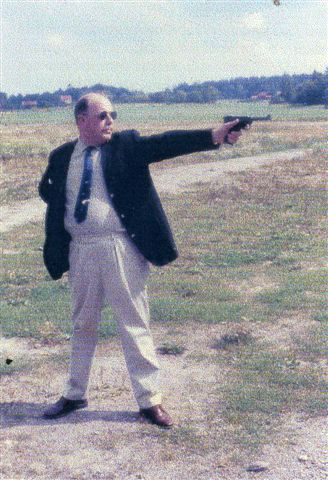 He devoured the translations of English and American authors and finally began collecting the Dennis Wheatley novels. In 1961 he wrote to Wheatley and struck up a lifelong correspondence. In 1971 Iwan was invited for dinner at Wheatley’s London home in Cadogan Square. Rather than wait for a Swedish translation of his favourite authors, Iwan bought the English versions and read those. He began writing to many of his favourites – Alistair MacLean, Helen Macinnes, Ian Fleming, Desmond Bagley, Hammond Innes, Leon Uris, Joe Poyer, James Hadley Chase, James Leasor, Edmund Crispin, Georges Simenon among others. Almost all of them answered his letters and several continued to keep in touch over the years. In 1968 Iwan brought out the first issue of DAST magazine – (Detective, Agent, Science Fiction and Thriller). 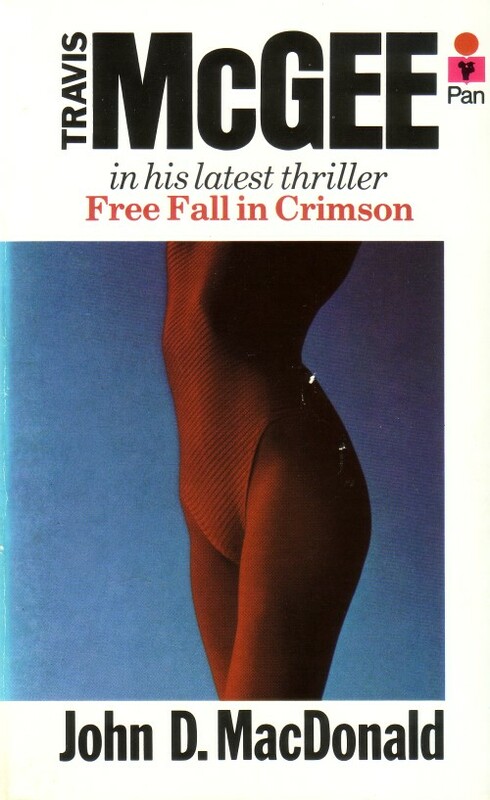 In 1974 Iwan was commissioned by Lindqvist Publishing to acquire a strong list of thrillers and mysteries – Hedman Thrillers, publishing many Swedish translations of Iwan’s favourite authors, among them Jack Higgins. Iwan became a good friend of Geoffrey Boothroyd – Ian Fleming’s and Bond’s armourer – and they visited each other’s home regularly. Indeed, he visited a number of authors in their homes in the US, including Joe Poyer and Raymond Benson. He interviewed Ray Bradbury at the time of Bradbury’s first mystery being published and kept in touch. Bradbury is one of Margareta's favourite authors. 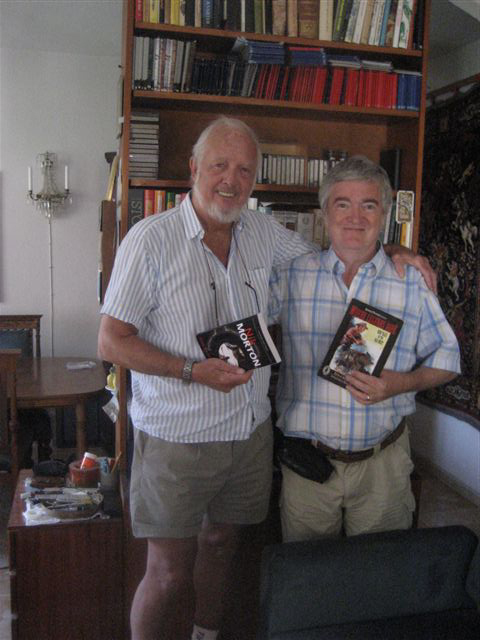 The list of authors Iwan has met, interviewed and kept in touch with over the years is quite remarkable: Mickey Spillane, Brian Garfield, Isaac Asimov, Colin Forbes, Duncan Kyle, John Gardner, Tony Hillerman, Frederick Forsyth, Michael Avallone, Elmore Leonard and Ed McBain, to name but a few. He taped some interviews, for example with Jack Higins and Leslie Charteris, and I have copies. 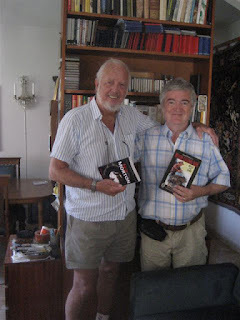 In 2009 I wrote an article about Iwan for the Levante Journal: ‘The Bond Connection’, one of a planned series that didn’t get taken up. For some time Iwan had badgered Raymond Benson to set one of his James Bond books in Spain; Raymond duly obliged with his thriller Doubleshot, written in 2000, which is partly set here. It also features a number of acknowledgements, not least Iwan. And to top that, on p233 there is a ‘Dr Iwan Morelius, a Swedish plastic surgeon’ who works for the villainous organisation! (As an aside, I’ve included Iwan as a Swedish chef in my novel The $300 Man (Hale Black Horse Western, as by Ross Morton). I also dedicated my crime novel A Sudden Vengeance Waits to him. Iwan was a generous host and virtually ran a private lending library for his friends. He had so many fascinating tales to tell, often with that distinctive twinkle in his eye. He will be missed.